The sweet and spicy flavor of La Victoria® mango habanero salsa is the perfect pairing with seafood. 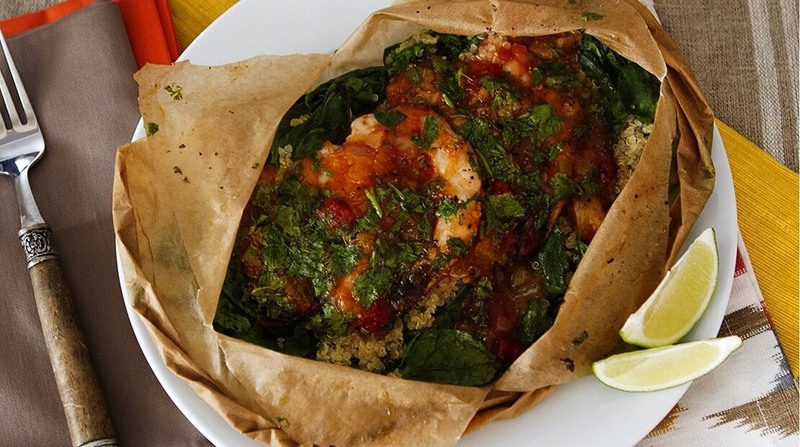 This nutritious, yet flavorful shrimp dish is no exception. A great meal idea for the whole family—also makes fabulous leftovers to bring for lunch. This unique cooking method locks in the delicious flavor of your ingredients. Discover the trick to cooking in packets. 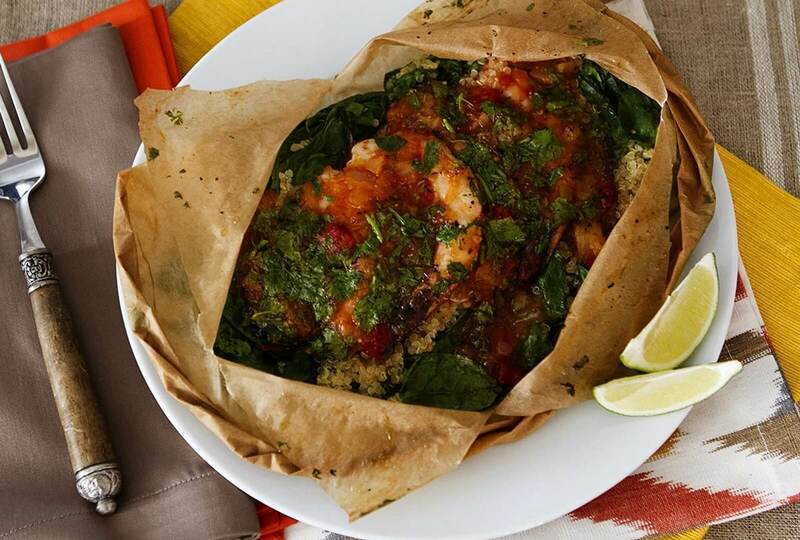 This Mango Habanero Shrimp & Quinoa Packet recipe is similar to a quinoa cake and is conveniently divided into individual portions. It’s nutritious alternative to a shrimp cake recipe, featuring sweet mango habanero sauce and shrimp prepared with a Mexican twist. Cut four 12-inch-long pieces of aluminum foil and brush center of foil with olive oil to keep ingredients from sticking. Place 2 cups baby spinach leaves in center of each piece of foil. Place ¼ cup cooked quinoa on top of spinach and top with 4 shrimp. Spoon 3 tablespoons La Victoria® mango habanero salsa on top of shrimp and sprinkle with 1 teaspoon freshly chopped cilantro. Drizzle pile with 1 teaspoon olive oil and season generously with salt and pepper. Fold foil packets to seal completely, place packets on baking sheet. Bake 10 to 12 minutes or until packets are puffed. To serve, carefully cut foil packets open. Serve with lime wedges.